The Peace Lab is the podcast focused on peacemaking, news and current events from a Mennonite perspective. AMBS students Rianna Isaak and Benjamin Isaak-Krauss drop by the Peace Lab to talk about the Poor People's Campaign, how it's impacting states across the nation and why they got involved. Lisa Schirch drops by the Peace Lab to talk about the Ethics of Peacebuilding that guide her work and how they are applied to Israel/Palestine, the military and other centers of conflict. Joy Yoon, a friend and partner of ReconciliAsian, has served in North Korea on and off for more than a decade. She comes to the PeaceLab to talk about life on the ground in North Korea and how prayer is bringing peace within reach. Episode 32: PeaceLab Episode 32: Tax Time! Melissa and Jason talk about the stress that tax day brings for Mennonites and chat with John Stoner about what exactly does belong to Caesar. Joanna Shenk drops by the PeaceLab to discuss her new book, "The Movement Makes Us Human", the legacy of Dr Vincent Harding and more. 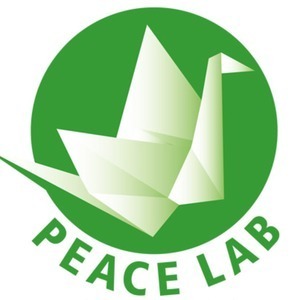 PeaceLab is back! Come meet our new co-host and stay for a conversation with Janna-Hunter Bowman, Assistant Professor of Peace Studies and Christian Social Ethics at AMBS. Episode 23: PeaceLab Episode 24: Horace McMillon on gun violence in the U.S.